The daily activities carried out inside the home can find continuity outside with an outdoor kitchen. 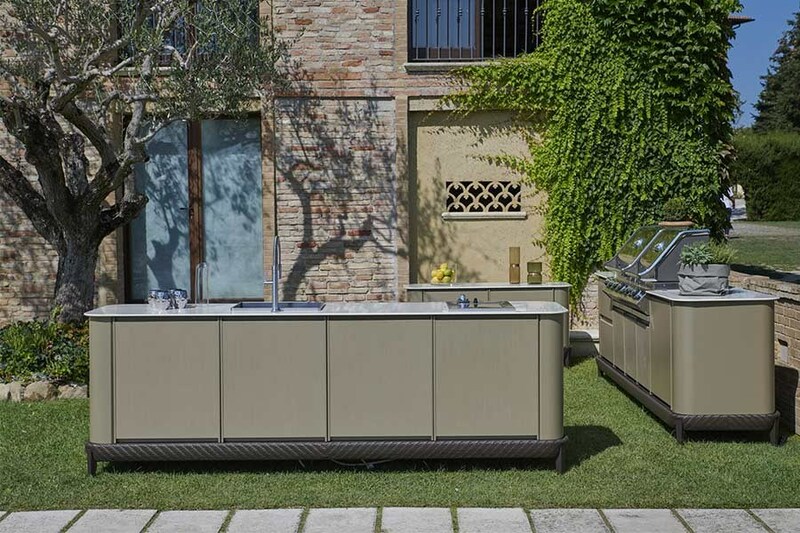 Outdoors, the kitchen area is transformed into an en plein air space where conviviality and exclusive experience come together, guaranteeing a welcoming and liveable atmosphere typical of indoor environments, but outdoors. 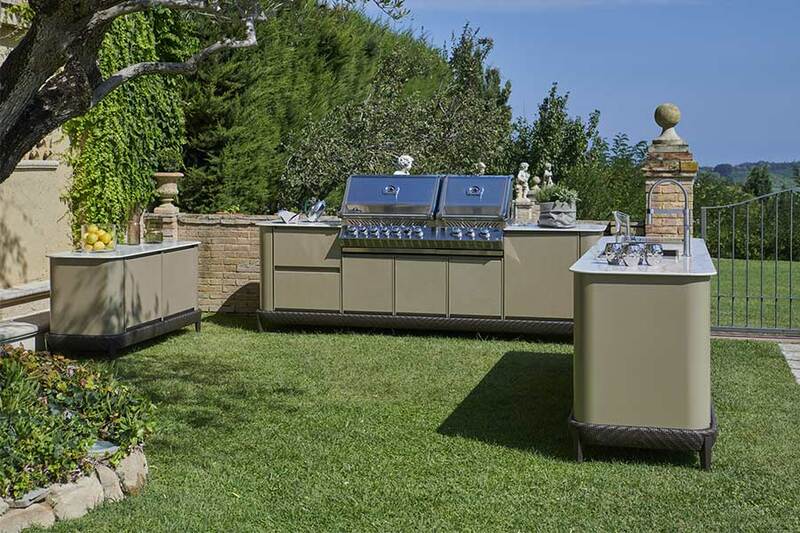 The design of an outdoor kitchen requires the same care and attention as the creation of an indoor kitchen. If well thought out and well inserted in the environment that will welcome it, an outdoor kitchen can provide the house owner with an extra space, where they can welcome guests and guarantee a pleasant experience outdoors. What is the best location for an outdoor kitchen? An outdoor kitchen is, as we have seen, an optimal way to add value to the property by strengthening its identity and enhancing the outdoor space. Whether it is a small island or a real kitchen complete with all kinds of appliances, before starting the design phase, it is essential to evaluate a series of aspects, including the best location. 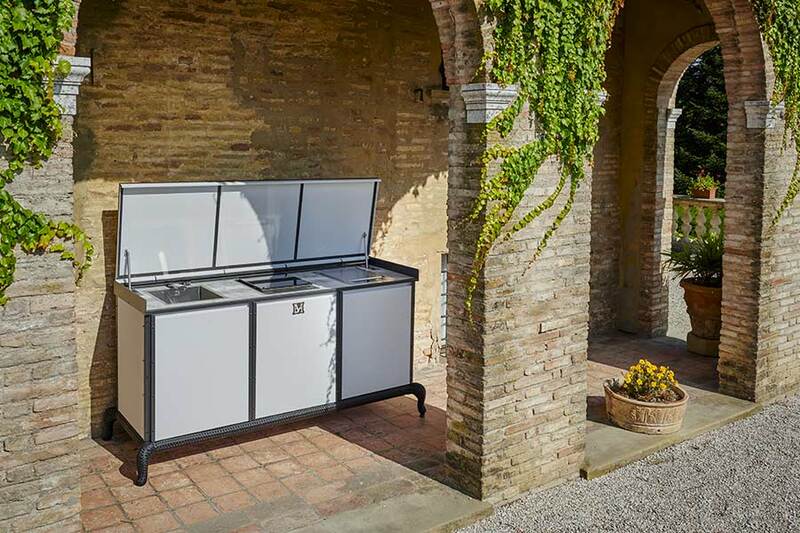 There are more and more clients who ask designers to include a more or less extensive and complex outdoor kitchen in the construction or renovation of their villa. However, there are clients who do not consider it and even before the proposal is presented to them directly by the designer they are reluctant. Most of the time their motivations are practical, linked to an actual lack of tendency to use outdoor spaces rather than a lack of knowledge of the subject. 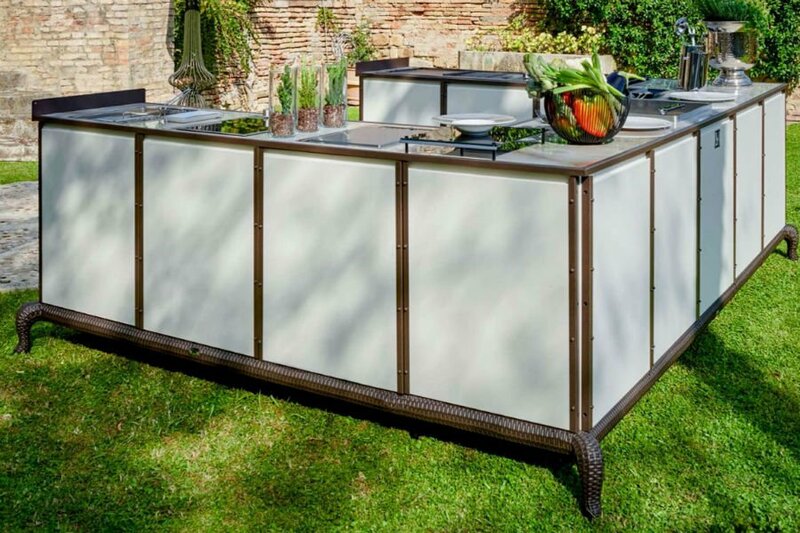 What are the trends in outdoor kitchen design? Garden kitchens always impose themselves with greater clarity, through dedicated brands that propose real outdoor kitchen designs. 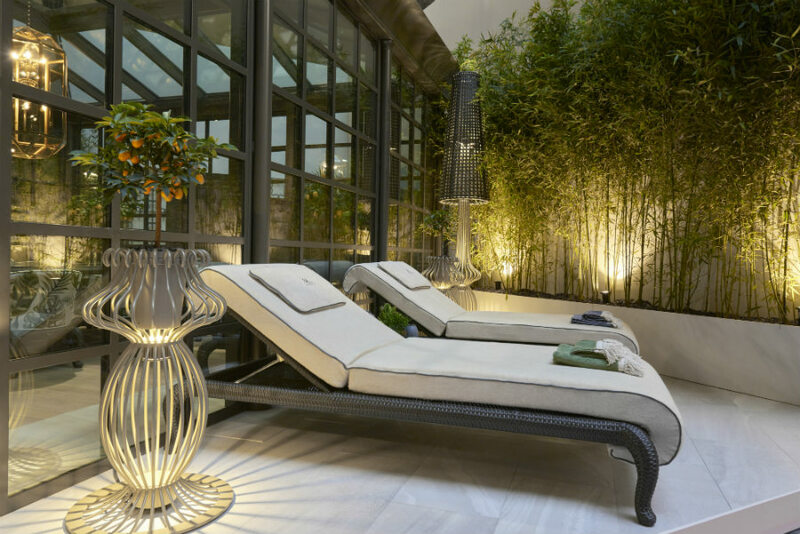 The clearest trend when it comes to garden furniture, but also a terrace or balcony furniture, is the abolition of a clear distinction between indoor and outdoor, both in terms of materials and shapes. 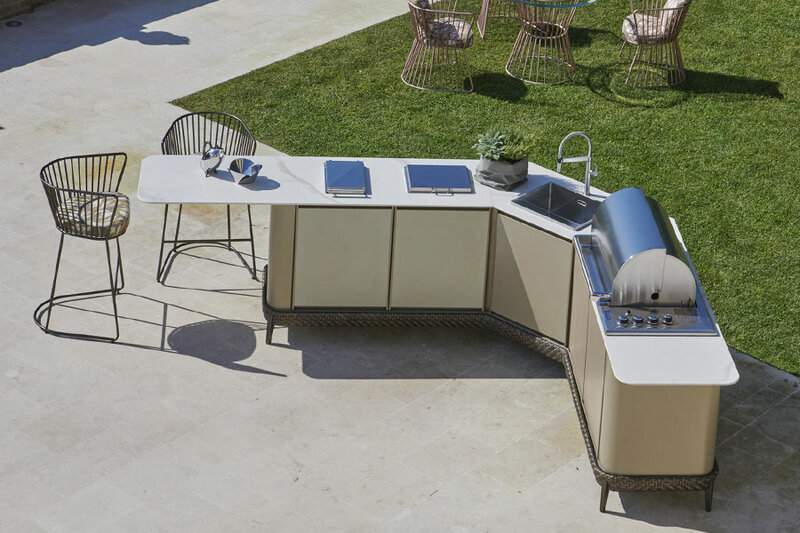 The outdoor kitchen intended as a creative laboratory of fusion materials focuses on surfaces that refer to different, but always precious, imaginaries. The interest in outdoor living and cooking continues to grow, with an increasing number of people transforming their outdoor spaces into elaborate extensions of their property. 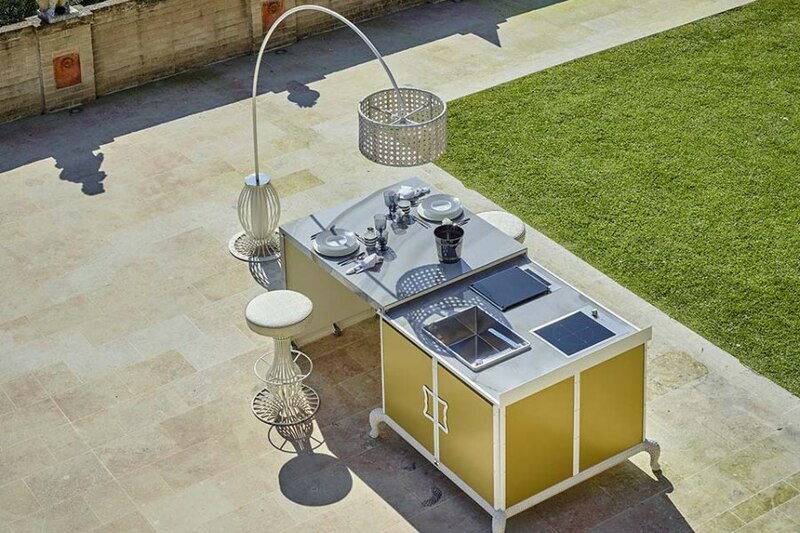 Cooking outdoors is one of the most popular trends at the moment. The times when cooking outside was synonymous only with cooking on the grill are long gone. The tradition of the barbecue turns into super-equipped solutions that are just as good as classic indoor kitchens. Steel became one of the protagonists of the decorative arts during the second industrial revolution. In fact, the artists of the second half of the nineteenth century were delighted to realise leaves, stars, animals and fantasy decorations with this material. 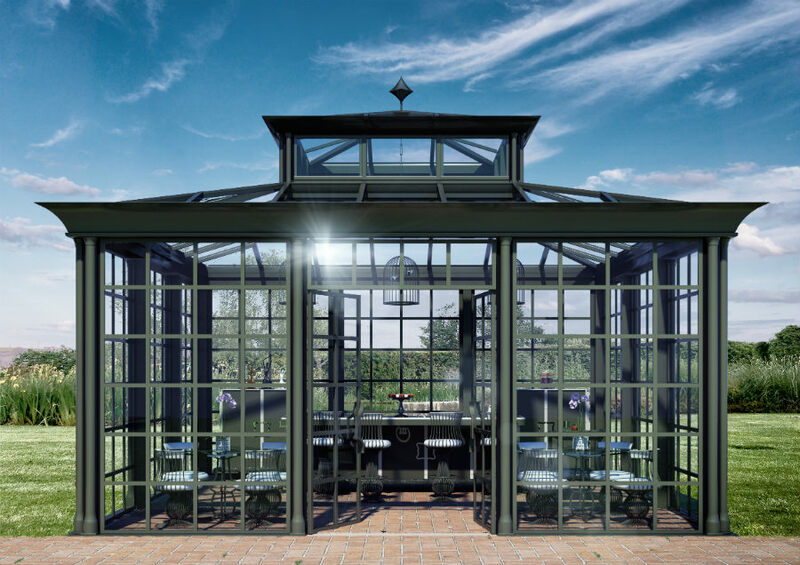 Luxury conservatories represent a beautiful space for all clients who love spending time in the garden and want, or need, a solution that gives them the feeling of being in an open area while remaining inside. In short, a luxurious environment to enjoy all year round. It is certain that a well-constructed and furnished conservatory will add significant value to the property in which it will be installed. Therefore, during the design phase, both the external design and the look of the furnishings inside must be taken care of. Choosing the style of the winter garden according to what fits best with the existing construction and the customer’s taste, is the first step.